Dreams.pk is Pakistan’s driving web-base leasing site that empowers you to purchase your kitchen appliances both on cash and lease. Here we have collection of Home appliances, laptop, Bikes, mobiles and many more for our clients. We offer astonishing EMI plans at the most sensible costs on every one of the items. Shopping has to turn out to be rush free and is likewise directly under your month to month spending now with dreams.pk. You would now be able to purchase any kitchen appliance on lease or money here on this site according to your budget. Buy kitchen appliances on monthly installments at the simplicity of your home, sitting wherever you are and get best deals. The online installment in Pakistan has never been this simple and reachable. Dreams.pk enables you to purchase on schedule payments with Zero Down Payment on all your items through a dependable channel. Dreams.pk is one of those online stores that enables shopper of Pakistan to purchase items both on installments and money. This web-based leasing site offers reasonable and adaptable plans for a cruiser on EMI of various brands nearby Pakistani clients. Imagine a scenario where you need to purchase any appliance like the coffee machine on installment or any other kitchen appliance. But are hesitant to get them at their costly sticker cost, you require not stress as dreams.pk is here for you. Here on this site, you can look over competitive installment plans as per your upfront installment. Here on this site, you can get multinational brand kitchen appliance on installment and cash in a secure manner. With expanding distances and the significance of time expanded, methods for shopping have changed and turned much quicker. A standout amongst the most progressive is the kitchen appliance, the reason it makes work simple and fast. Kitchen appliance has to turn out to be extremely useful in Pakistan as it is reasonable for the majority of the populace. 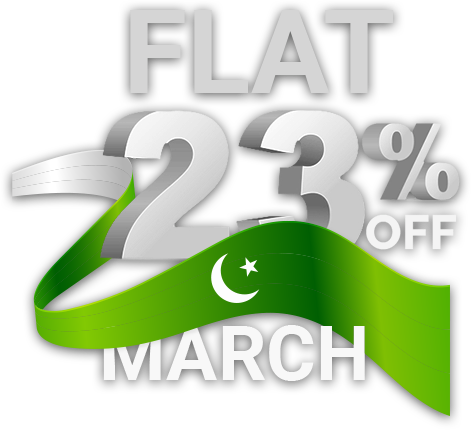 Dreams.pk is putting forth online installment plans for purchasing diverse brand appliances. This activity has been taken by Awais Farooq who is additionally the founder of Pakistan’s comparison site, Comparebox.pk. Dreams.pk have an immense accumulation of appliances from all organizations and assortment for all classes of gadgets, for example, Mobile, laptops, home appliances, LEDs and much more, from all the renown, surely understood and prominent brands sold and acquire in Pakistan. You say the brand and dreams.pk will have it. Kitchen appliance brands accessible on dreams.pk incorporate West point, Kenwood, Sensor, LG and numerous more will before long be accessible. This implies now anybody can buy any of their favorite kitchen appliances on easy installments in Pakistan. Along these lines buy kitchen appliance on installment has turned out to be substantially more advantageous and accommodating for everybody. Numerous purchasers in Pakistan, trust that the items they purchase on rent or money from online stores are not in every case great quality, while Dreams.pk ensures this isn’t the situation. The kitchen appliances or some other items accessible here on money or on rent are sold with authority organization guarantee. This permits the client the fulfillment that the item they purchase will be of bona fide quality. With a much-created cruiser advertise in Pakistan, there are many brand appliances for customers. Things being what they are, would you say you are burnt out on going everywhere throughout the business sectors to locate your appropriate rates or arrangements, can’t set aside out opportunity to visit those swarmed nearby stores or markets to purchase your most loved kitchen appliance on installments and can’t locate your most loved contraption or item anyplace? Stop your inquiry appropriate here, claiming the answer for your issues is dreams.pk as it is the best site for such appliances on installments in Pakistan. Thus, purchase a kitchen appliance on installments online through the best online installment site in Pakistan. Another significant explanation behind shopping on our site is the simple accessibility of an immense assortment of items. Possibly you need local kitchen appliance on installments or imported one on installment, to locate your coveted item, you just make a couple of snaps which makes the procedure bother free. Thus, if you are worn out on going everywhere throughout the business sectors to locate your appropriate rates or arrangements, can’t set aside out opportunity to visit those swarmed neighborhood stores or markets to purchase your most loved kitchen appliances on installments and can’t locate your most loved organization or model anyplace? Stop your inquiry ideal here, because the answer to your issues is Dreams.pk. It is the best site to purchase home appliances online in Pakistan. Subsequently purchase kitchen appliances online through the best online installment site in Pakistan. Customers in Pakistan believe the items they buy on lease or cash from online stores are not generally good. They’re either a bargain on quality or are not unique, while Dreams.pk ensures this isn’t the situation. We have coordinate contacts with official merchants of all known brands of kitchen appliances, mobiles on installment and different home appliances, which will guarantee our clients to get the first and honest to goodness items both on money and additionally on the month to month rent with authority guarantees for the fulfillment of our cherished clients.